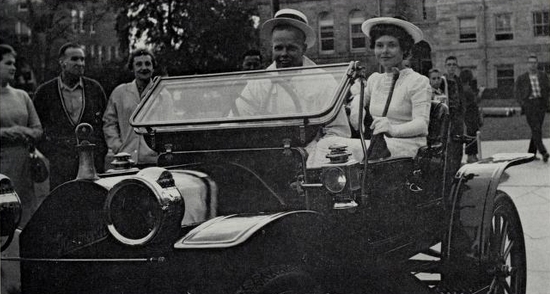 The decade of the 1950s opened with the crowning of two noteworthy Homecoming queens. In 1950 Mildred Fogel ’52 wore the “Miss Illinois” crown; in later years, “Millie” starred in the “Mission Impossible” TV series and would be better known by her stage name – Barbara Bain. The following year students selected Clarice Davis Presnell ’52 LAS, an African-American senior in the College of Liberal Arts and Sciences, to be “Miss Illinois” in “the biggest vote for Homecoming queen in the history of the University.” According to the Chicago Defender, Davis was the first African-American to hold the Homecoming queen title at a major American university. 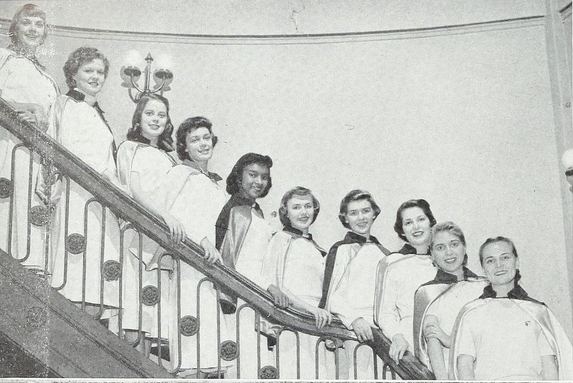 As late as 1965, Homecoming remained an important student ritual. The Daily Illini called that year’s Homecoming “one of the all time best,” but the times were “a-changin’,” to quote singer Bob Dylan, and growing numbers of students began to question the relevance of Homecoming as the tumultuous 1960s drew to a close. The 1968 Homecoming Stunt Show captured the spirit of the times. Many of the skits were politically charged, portraying Vietnam, war and peace, and student power. The Stunt Show, a “barometer of student sentiment” for nearly 50 years, would never be staged again. The following year’s Homecoming took place on Halloween weekend and proved a disaster. Its theme, “Hexascopic Hell’s a Topic,” brought to mind a spell from an imaginary witch, and indeed, the events seemed cursed. The 1969 Homecoming featured lousy weather; a canceled parade, pep rally, and magic show; credible complaints from “Miss Illinois”; and, last but not least, a rout of the Illini by Purdue. The Illini Union Board’s Homecoming Committee registered a $2,000 net loss. “In my estimation, there will be no Homecoming next year,” the IUB Homecoming Committee’s chairman declared after the 1969 debacle. 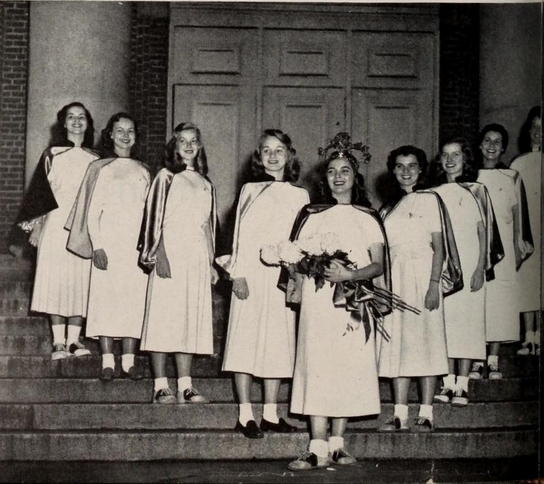 Millie Fogel, 1950 Homecoming Queen with her court: Image found in the 1951 Illio. Millie later starred in the "Mission Impossible" television series, and was known by her stage name, Barbara Bain. 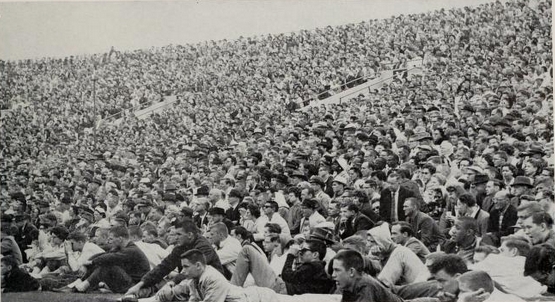 Crowd gathered for the 50th anniversary Homecoming game in 1960: Image found in the 1961 Illio. "Famous Firsts" was the theme of the "Golden Anniversary" of Homecoming 1960. Two Illini ride along Green and Wright Streets during the Homecoming Parade of 1960: Image found in the 1961 Illio. 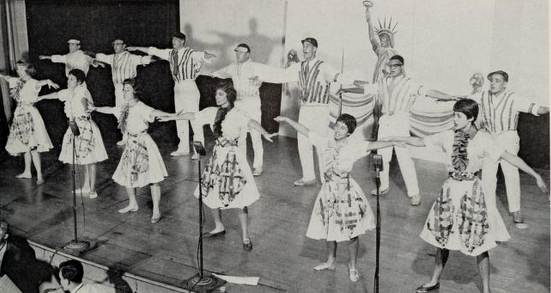 "Famous Firsts" was the theme of the "Golden Anniversary" of Homecoming 1960. An act in the Stunt Show of Homecoming 1960: Image found in the 1961 Illio. "Famous Firsts" was the theme of the "Golden Anniversary" of Homecoming 1960. Sigma Delta Tau and Phi Epsilon Pi combine their talents for a performance of "Fooling Around." 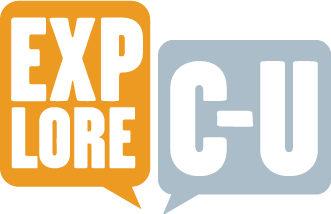 John Franch, “History of Illinois Homecoming: 1950s-1960s,” ExploreCU, accessed April 20, 2019, https://explorecu.org/items/show/263.